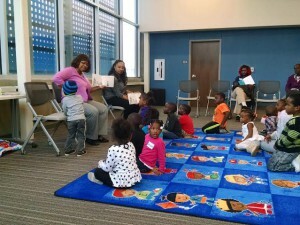 Prime Time Family Reading Time is returning this semester to seven Omaha locations. Each session of the six-week program is free and open to families and their children, ages 6 to 10, who struggle with reading, or for families with preschool children who need a head start in reading readiness before kindergarten. Programming will begin with a light meal and continue with storytelling and discussion based on award-winning children’s books. Four of the sessions will be bilingual, with books read and discussed in both English and Spanish. One will focus on Native Americans using Native American folklore. One will be an English session, and the last will be a preschool session that helps children ages 3 to 5 develop reading readiness before starting school. 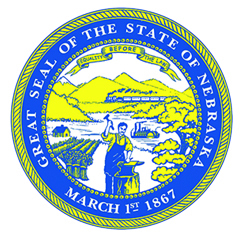 All sessions are offered without cost to families thanks to generous statewide sponsors including the State of Nebraska, Nebraska Cultural Endowment, Carol Gendler, the W.K. Kellogg Foundation, the Peter Kiewit Foundation and the Sherwood Foundation. Humanities Nebraska has offered Prime Time since 2002, reaching more than 7,000 Nebraskans in one or more of the 170 Prime Time series that have been held throughout the state. Seventeen public libraries, 15 elementary schools, and four community centers have hosted Prime Time in communities where student reading scores do not meet Nebraska state standards.